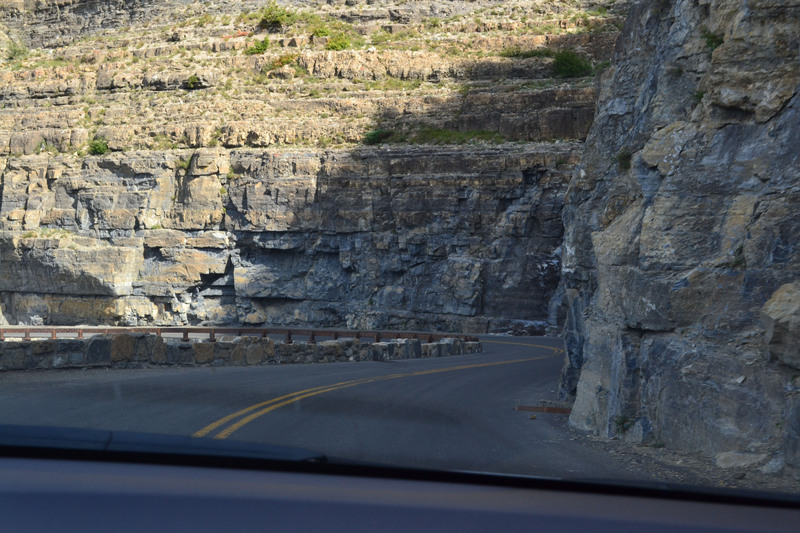 This past weekend we drove the amazing and well-known Going-to-the-Sun Road. 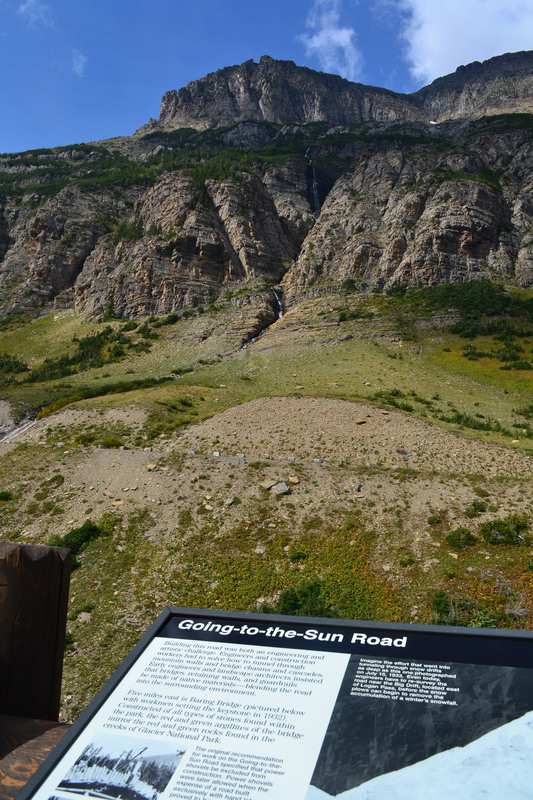 This is the only road that crosses Glacier National Park in Montana, going over the Continental Divide at Logan Pass, which is the highest point on the road at 6,646 feet. The narrow winding road, which hugs the mountainsides as you climb higher and higher, was completed in 1932 and spans 50 miles. We’ve wanted to drive this road for awhile. We travelled through the area last February but it was closed. It’s only open from June to September. 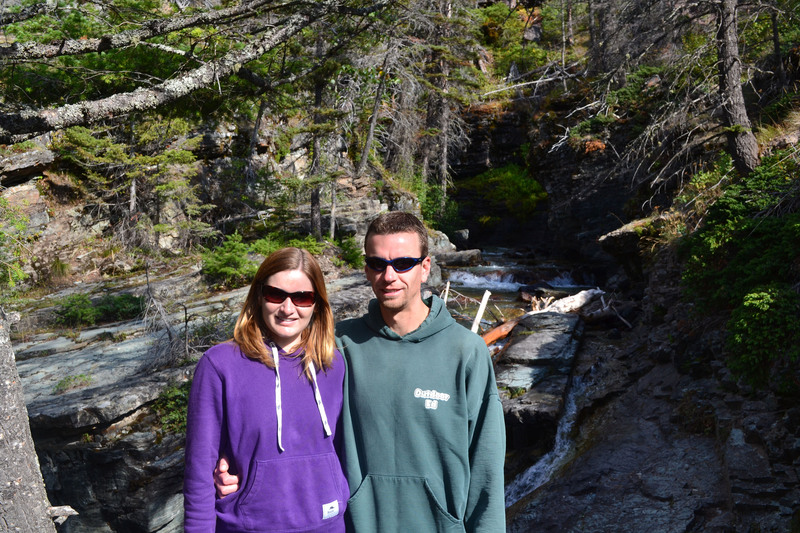 Here are some photo highlights from our drive to the Sun and back. 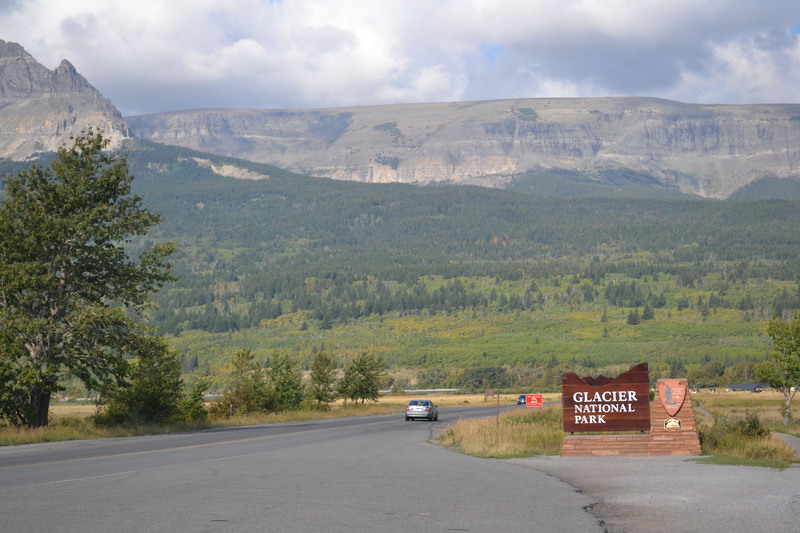 Entering Glacier National Park on the Going-to-the-Sun Road. Going-to-the-Sun Road in the distance along the mountainside. 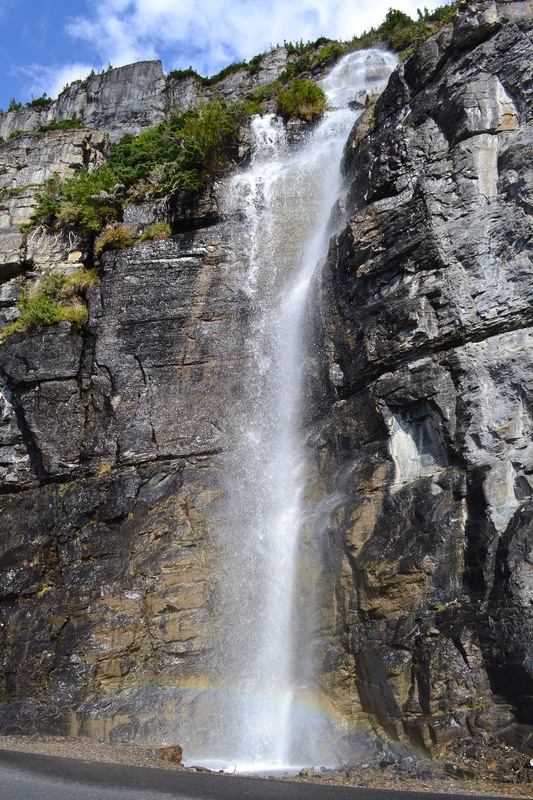 A beautiful waterfall with a rainbow along the side of the road. 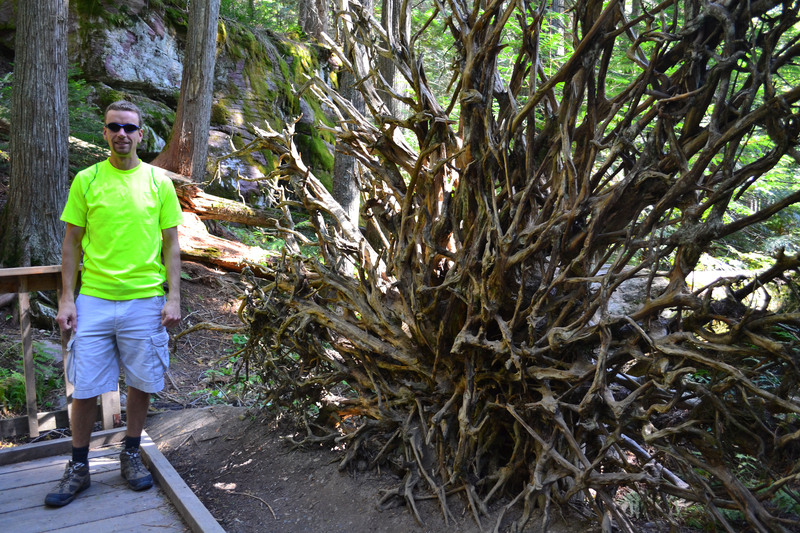 Standing beside some amazing roots from a fallen huge cedar tree. Taking in the incredible view in the park. 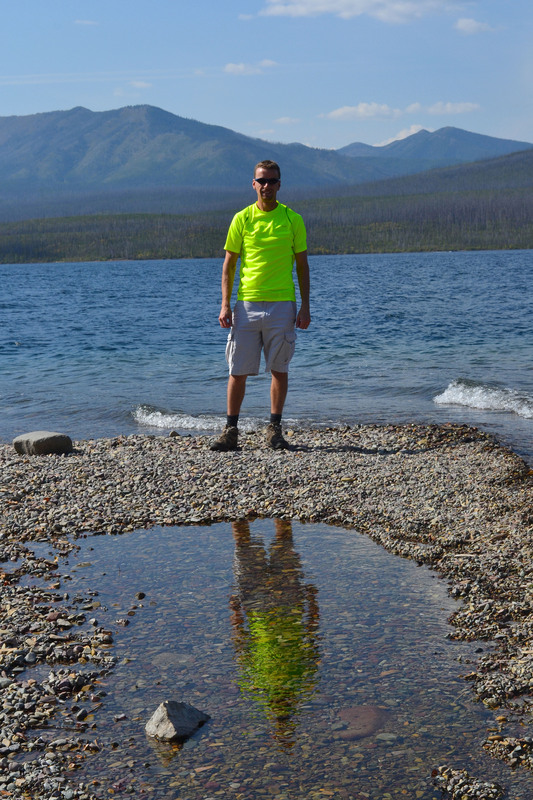 Lake McDonald in the park – with a cool reflection in the puddle. 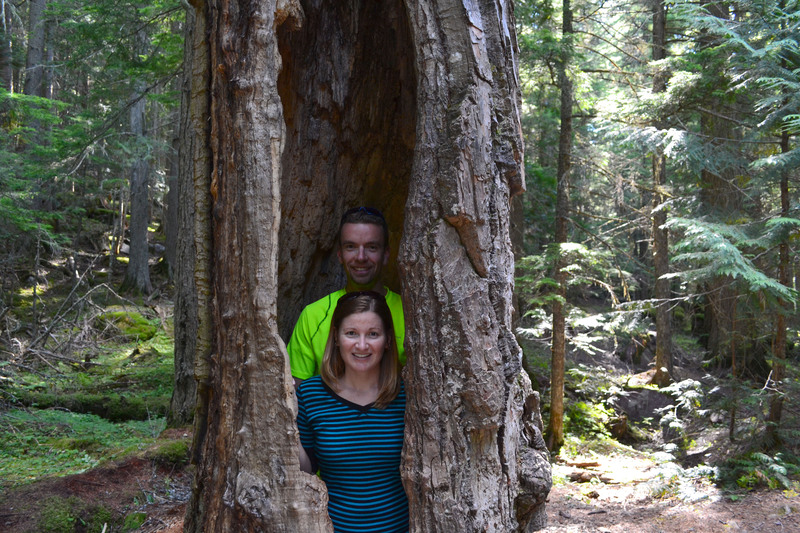 In a tree in Glacier National Park. Our next Christmas card?! Thanks for reading and commenting Jenny! 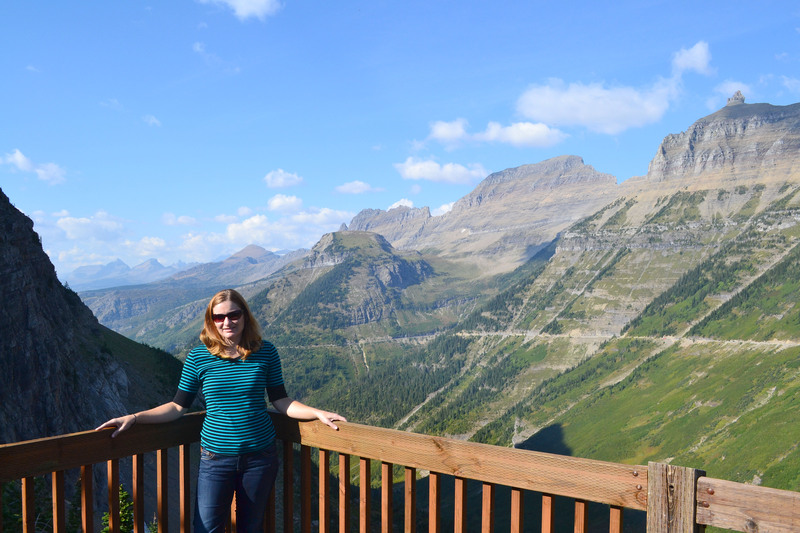 I LOVE Glacier!! Such a beautiful place. Thanks for sharing. It definitely is! Thanks for commenting.